“Camaro! Chevy’s Classy Chassis” by Ray Miller. 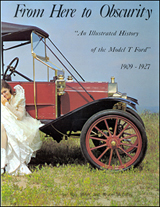 This hardback volume is the authoritative Camaro history. Inside, you will see plenty of pictures of the car, info from factory literature, specifications, production figures (with production figures for some options), photos of the details that make each year special, along with text that explains how the car changed from year to year. This encyclopedia of Camaro knowledge will enable you to identify and to classify both cars and also parts with an individual chapter devoted to each year. You’ll find hundreds of clear black & white pictures throughout the book and even some color photos in the middle. Size 9″ by 11 ?” with 322 pages, Hardcover with full color dust jacket. A Must have for the Camaro Owner! Year Application 1966-1981.